This couple has been so much fun to work with so far! Nisha & Sam are getting married at The New Children's Museum in San Diego, CA. 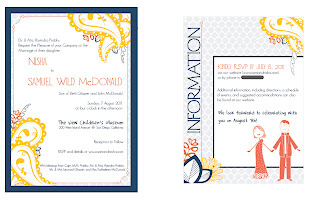 They wanted a design that was colorful, whimsical and fun that also was inspired by both of their backgrounds. 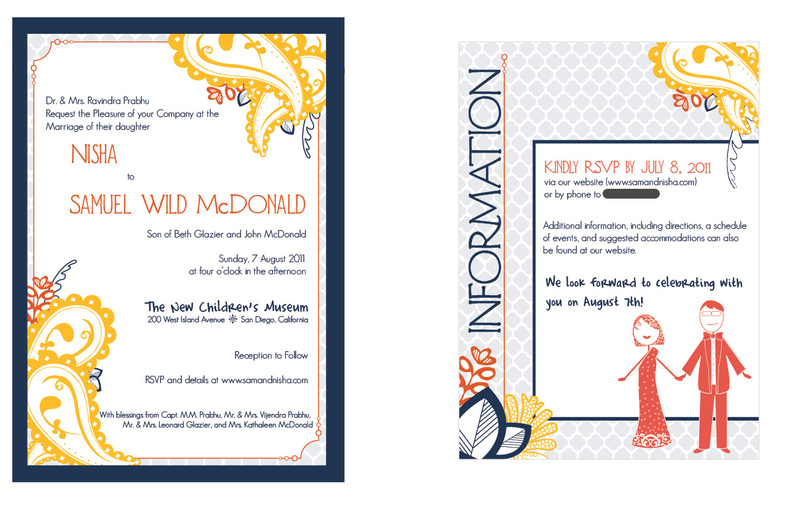 Here is a sneak peak at a draft sample that is in the works for their Invitation + Information Card!